I guess it is a bit misleading to call it banana leaf because, actually to make these products you strip off parts of the trunk of the banana tree. However, you can not really call it banana bark either because the banana tree in Rwanda grows more like an onion, with the trunks being made of layers and not simply with a one layer bark covering. However, I am not a plant expert and this lens is not about what a banana tree is (although that might be an interesting one to do in the future), it is about how the wonderful artists, that Azizi Life is working with in Rwanda, are able to use the layers of banana bark/leaf to make some of the most beautiful and useful products in the world. And I wanted to honour these artisans by show casing some of their products here. I hope that you love them us much as I do..
For those of you not fortunate enough to live in a climate where you get to see these trees everyday, I thought I better give you some idea of what the banana plant/tree looks like. 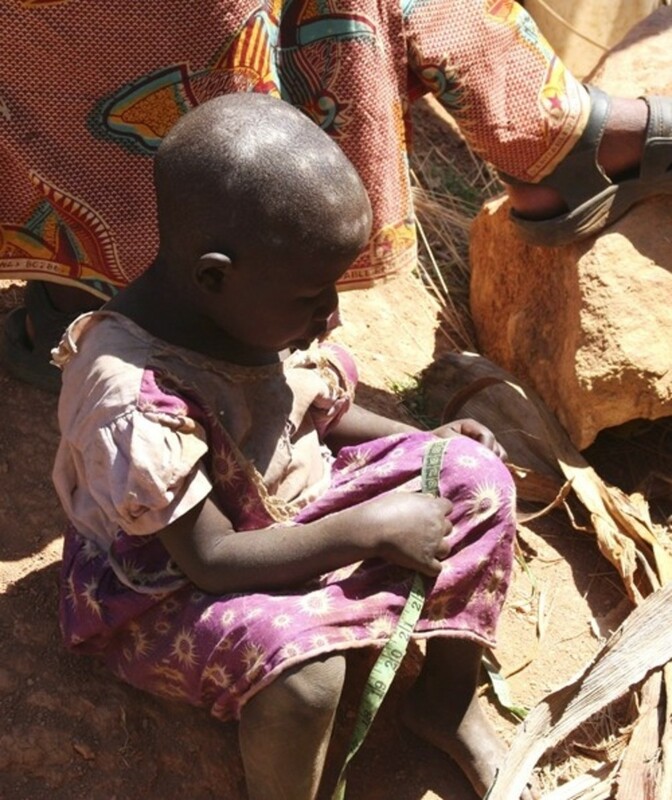 The weavers do not use the big green leaves but strip sections off the trunk of the tree. Depending on the age and type of tree the color can vary quite a lot from a black, through to a light brown or even green. 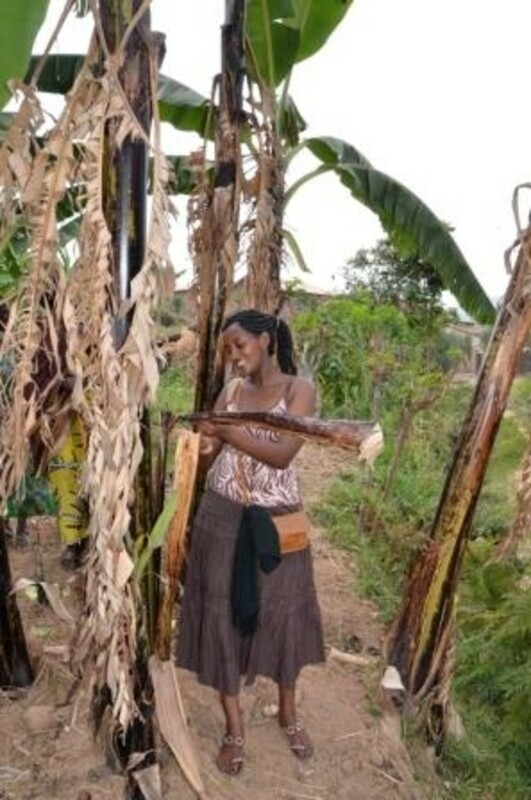 The trees in the video are quite small, however, in Rwanda I have seen banana plant grow to well over 15 feet tall. 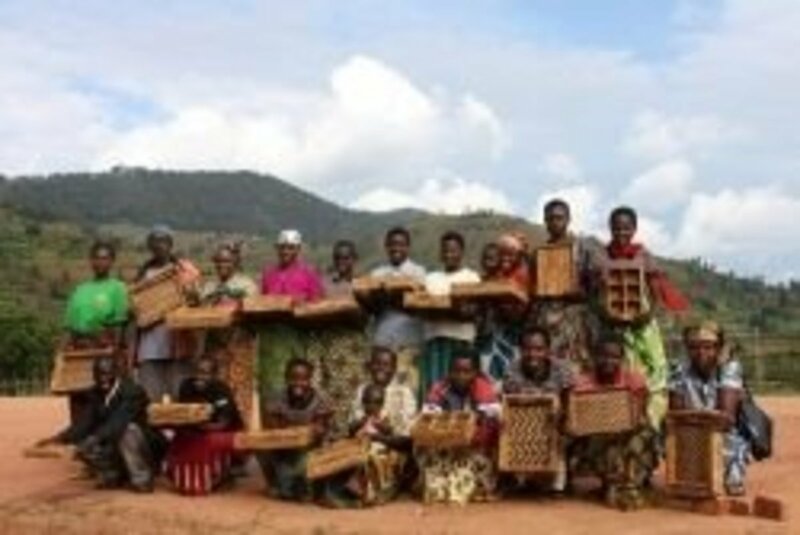 Abahuzamugambi Cooperative are based in the far south of Rwanda, high in the hills. It takes many hours on bumpy roads to arrive at their village and during the rainy season they often become completely cut off due to flooding. However, although their location is remote it is also breathtakingly beautiful with large amounts of banana trees. 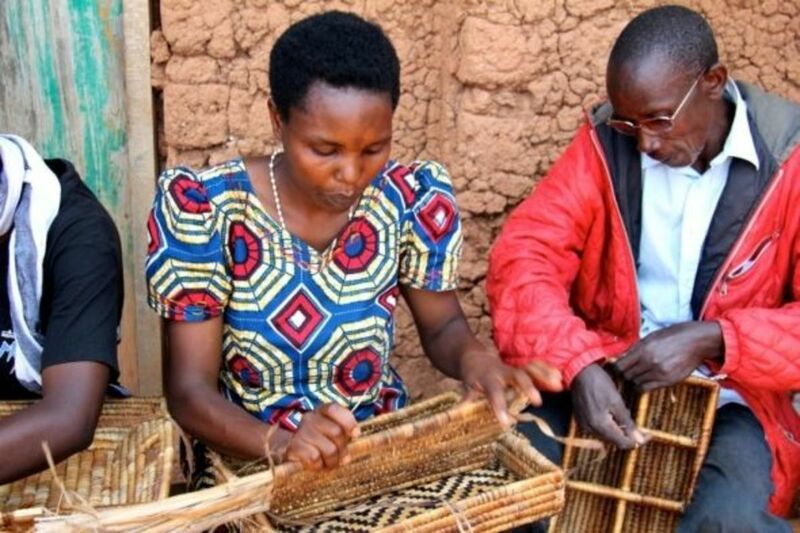 Not only does the banana (ibitoki as it is called in Rwanda) provide them with much needed food they are also able to use the plant to make other useful things. 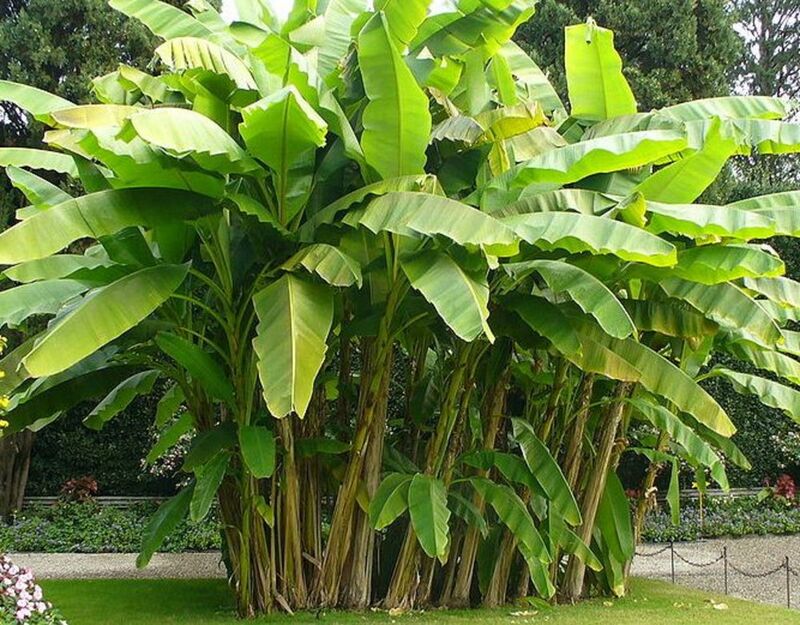 The sides of the banana tree can be striped off of the plant, without damaging it, and can then, buy expert hands, be turned into almost anything. The ladies and men (the group is made up of 25 women and 3 men) of this co-operative can turn the banana bark into a twine or even weave it into furniture. 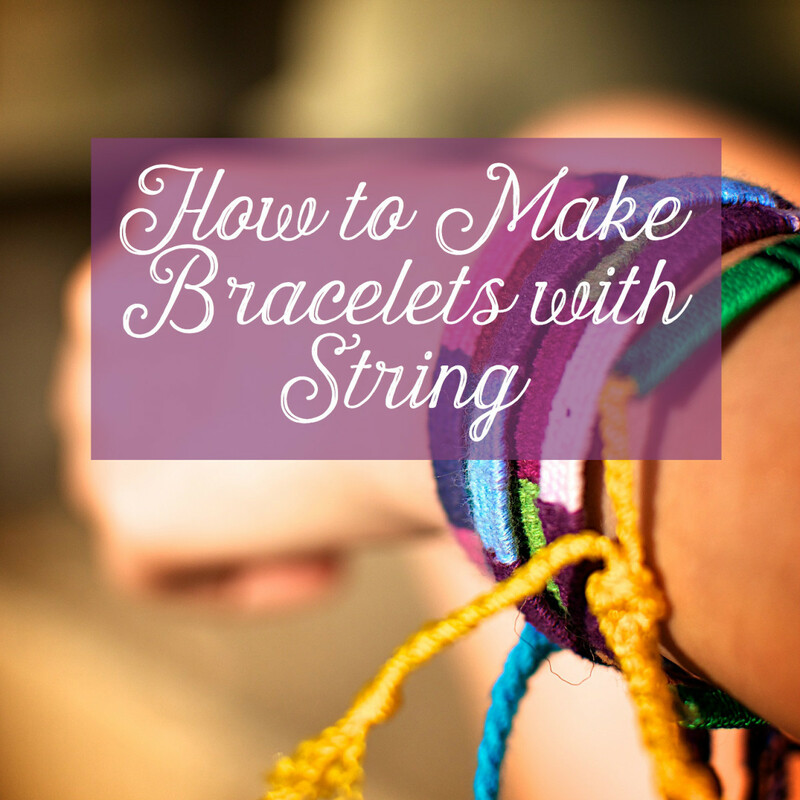 They can make everything from table, chairs and cupboards to string bags or even footballs. Until I met with these wonderful ladies, about 4 years ago, I never had any idea how much of the banana plat could be used to make everyday items. Below I have listed a few of my favourite products. 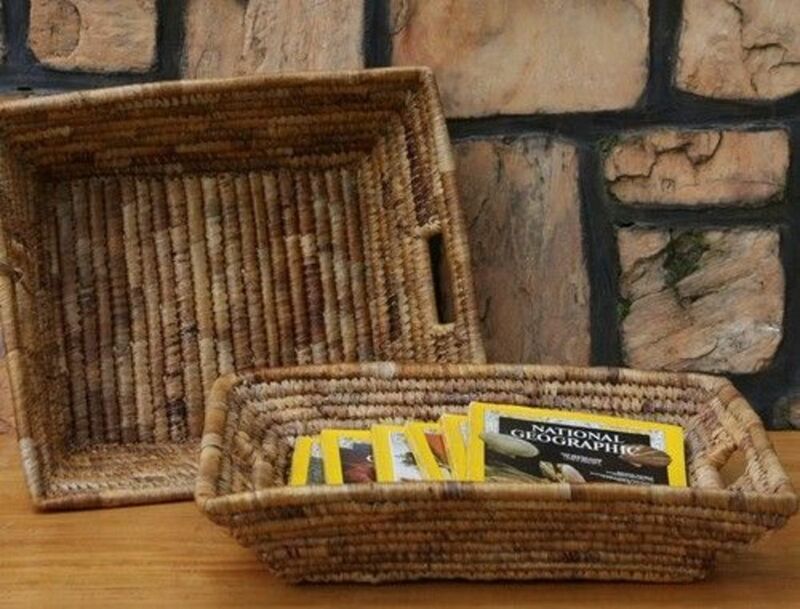 Some of these items are actually made made other artisans in Rwanda but I hope the different products give you an idea on how versatile the banana plant really is. 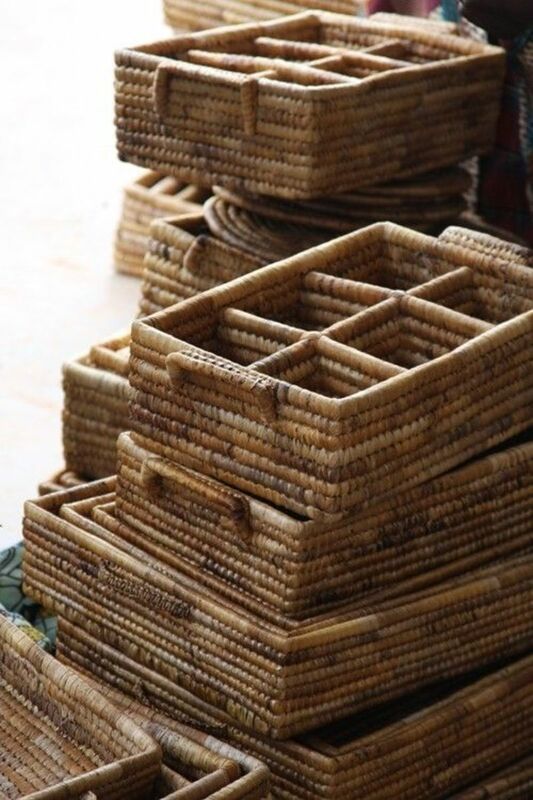 These stacking trays are the prefect example of how you much of the banana tree can be used. First of all you take the small stalks that are around the base of the tree. You collect them up and then bunch them together - this is what gives your tray substance and strength. You then strip the layers off the edge of the tree, use a knife of a sharp stone to scrap of the excess fibres and cut this into strips. Often the ladies will wet the banana strip to make them easier to work with. You then wrap the banana strips around the stalks weaving them into a tray. 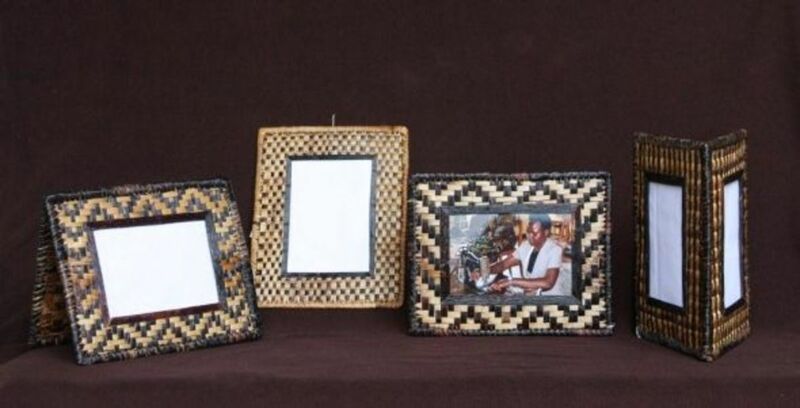 Once you have a frame made it is possible to weave a pattern on to the front using the different colors of banana leaf, or you can simply leave them plain - as you can see from this photo. This video is fascinating, it shows really well how the banana leaf can be collected and then turned into a string or twine. 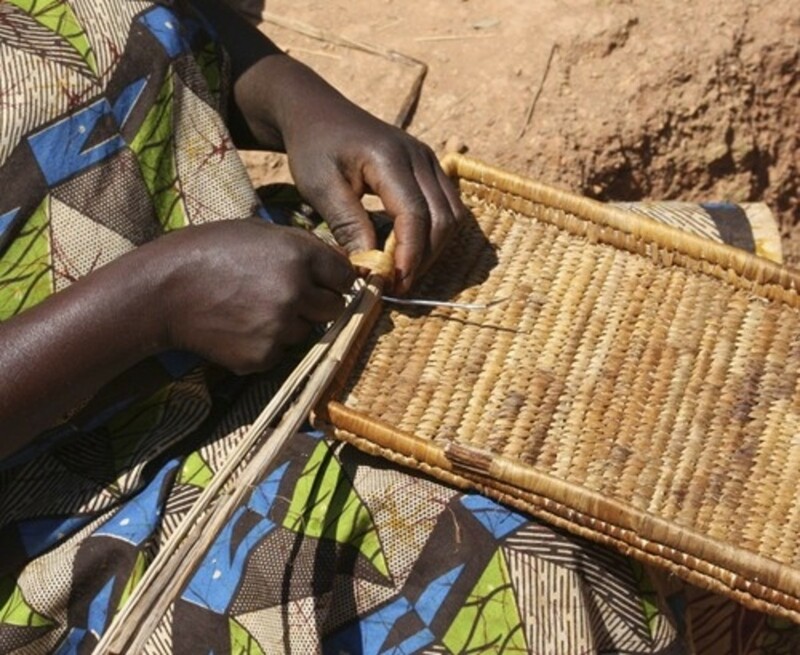 These expert ladies are able to weave the banana twine in such a way that is stays pliable and strong, making it as equally useful as string. However, do not be mistaken into thinking just anyone can do this, if you get the process, even slightly wrong then the twine becomes brittle and snaps. One of the things that interested me most about this banana string bag is that to make just one takes an amount of banana string that is longer than the length of football pitch. Despite all this string, the bag is not as heavy as you would imagine. It is definitely sturdy and substantial but still light enough to carry around town. 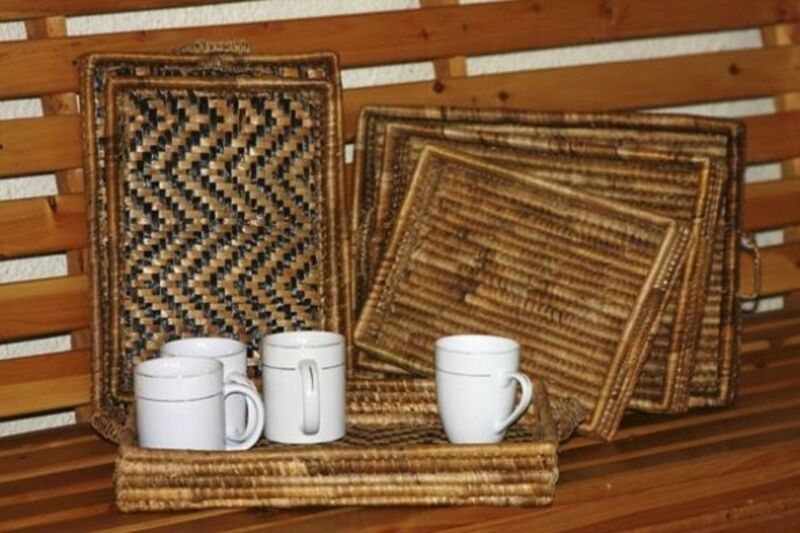 The cup trays are made in a similar way to the stacking trays above but the difference and potential difficulty for the artists is the fact they have to make a number of small compartments. If the artists gets these just slightly wrong it causes the cup tray to become skewed. This means a lot of care has to be taken to make sure each section is the right size. I have watched these being made and I still cannot work out how they make sure everything get woven together correctly. 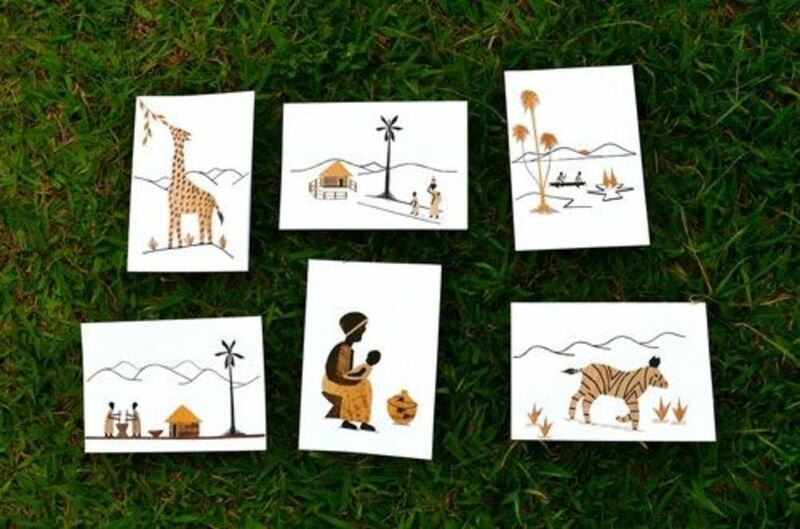 Believe it or not, it takes an average of twenty minutes for one of the artisans to create one of these cards. 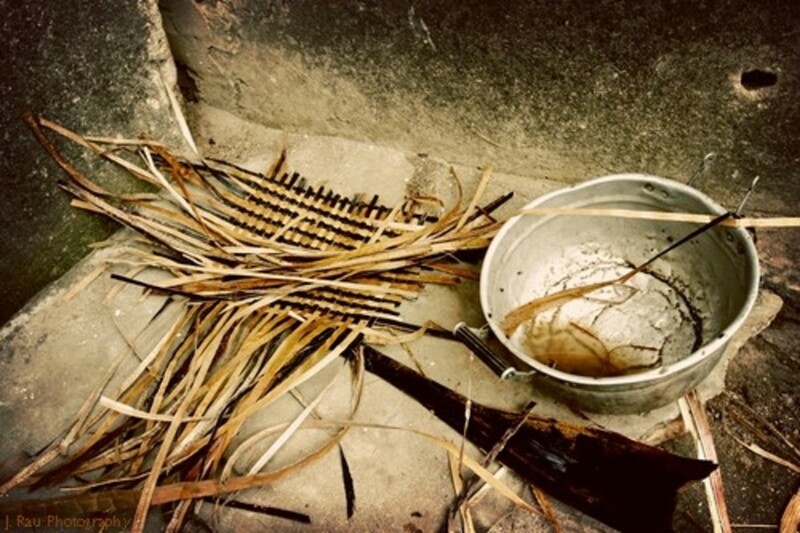 However that does not include the time it takes to collect the banana leaf – and that is not as easy as you might think. 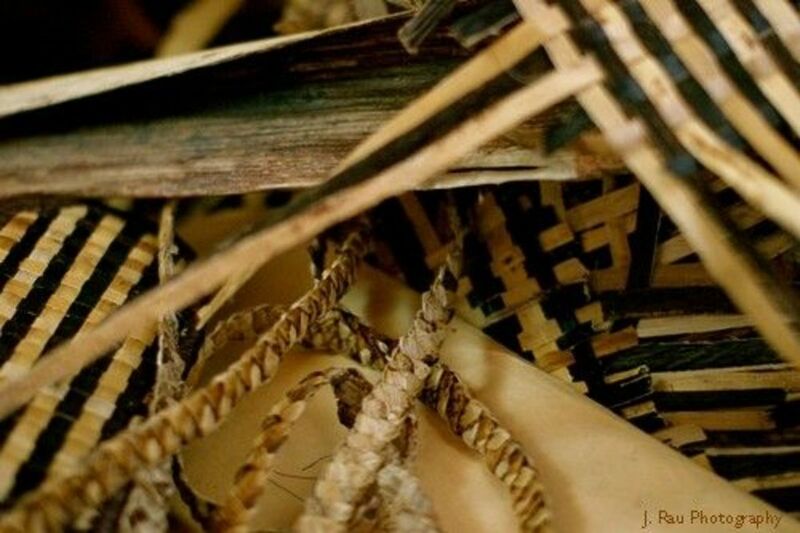 None of the cards are painted or dyed and so the variations of color that you see, is because the artisan has selected a different color leaves. 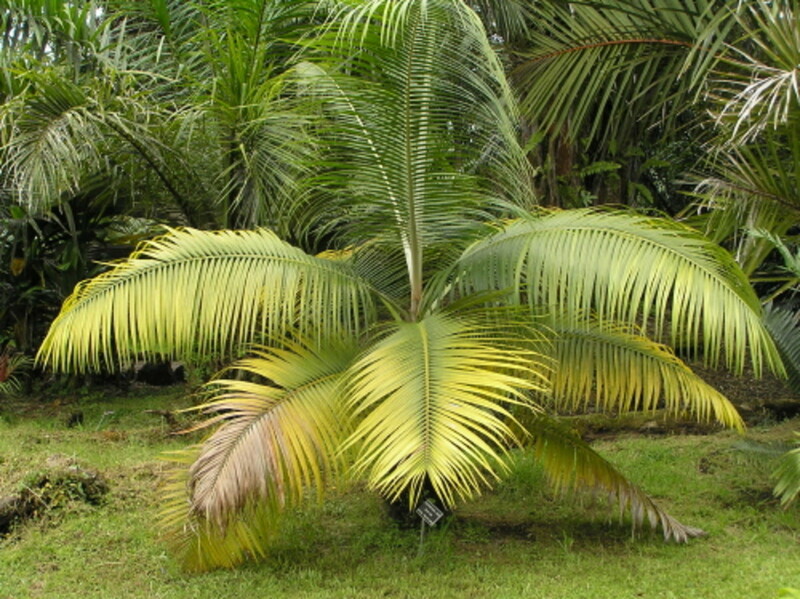 Different types of banana tree provide slightly different fruit and also slightly different banana leaves. 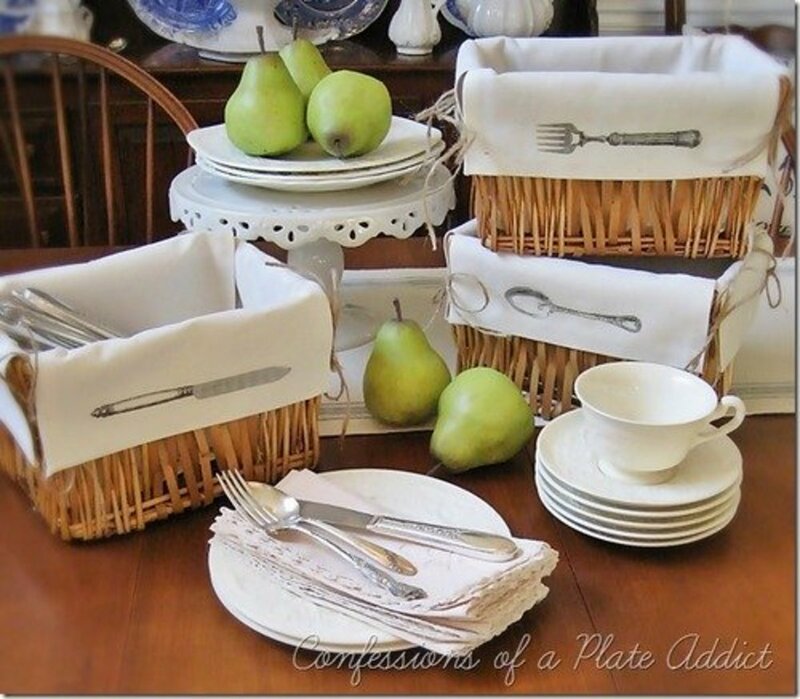 By careful selection the artisan is able to find a full range of colors and without this quirk of nature none of these beautiful designs would really work. Unlike the banana string this banana leaf is prepared in a different way that ensures the twine becomes hard – that is how the bag keeps its shape. By using water, twisting, weaving and then drying, wetting and re-drying it is possible to make a hard twine similar in texture to whicker. By doing this the artisans can make this solid square shaped carry all that does not fold in on its self. You can use the same technique to make furniture and any product that needs this more solid finish. Here is a little introduction to the Azizi Life artisans. 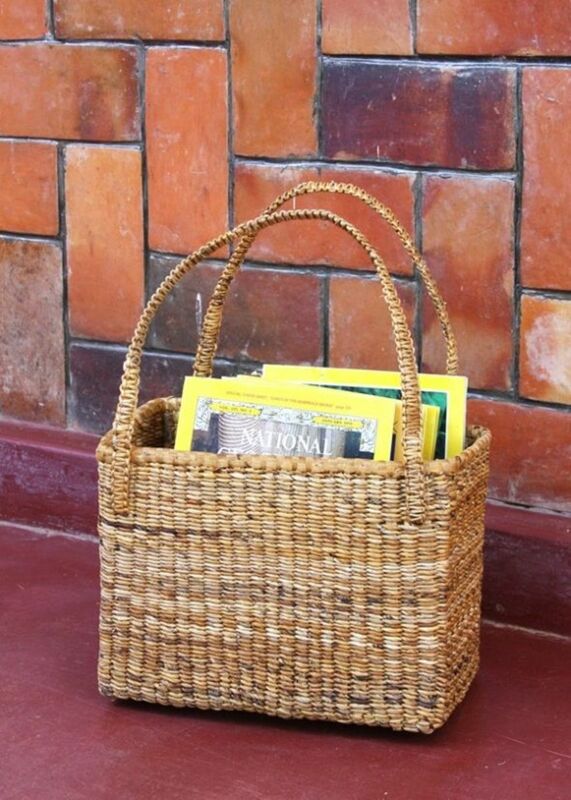 They make things from Banana Leaf, Sisal, Wood, Sweet Grass and fabric. Each craft as amazing as the next! 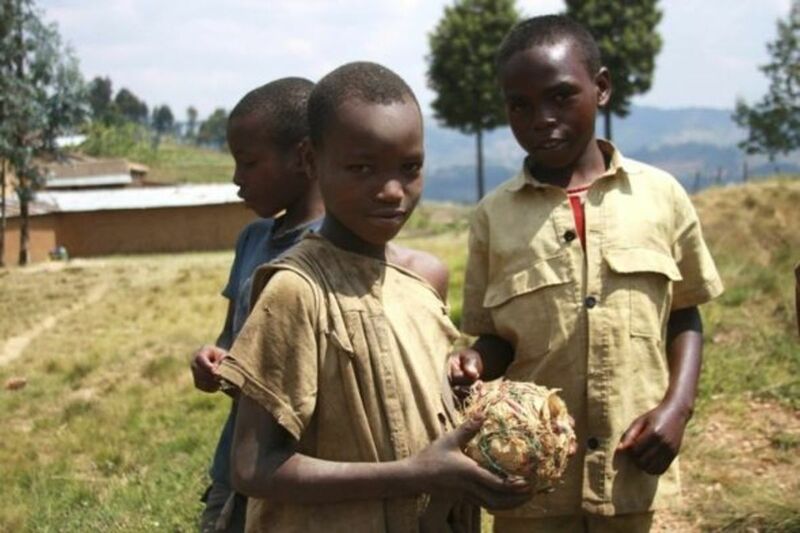 All around Africa you can see young men playing football (soccer) with balls made of plastic bags, however, a few years ago the Rwanda Government banned the use of plastic bags. This decision has resulted in the country being one of the cleanest in the world however, it also caused the football fanatics to look back into their history and rediscover a lost skill – how to make a banana leaf football. By wrapping layers of banana leaf around and around and then making a banana twine and tying it all together it is possible to make your own football. Sadly with the hard mud pitches the ball will only last for one or two games but then to make a new one costs nothing – just takes a little bit of skill and time. One more modern uses of the banana leaf is to create a photo frame. I guess the beauty of the frame could distract from the picture, however, I think the shades of brown and woven pattern can enhance the interest. 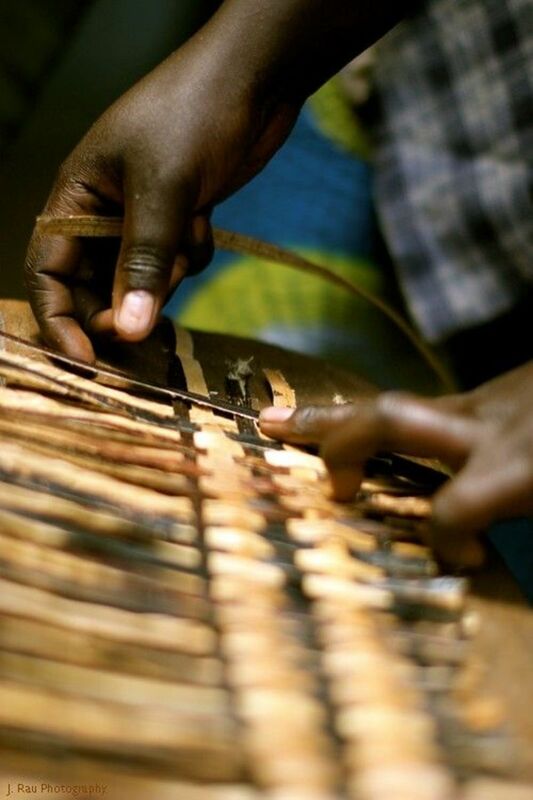 To make a frame the banana leaf is simply cut into strips and then woven into the pattern. They normally weave a big sheet and then cut it down to side and put the boarders on. The group that make these normally work in teams with some weaving the large sheets and the more skilled workers finishing off. 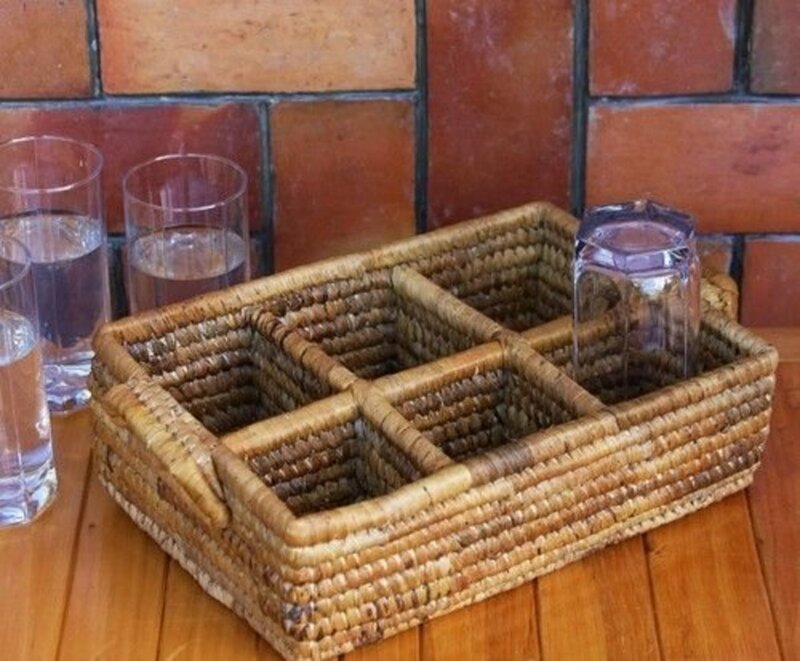 These are made in a similar way to the stacking & cup trays. 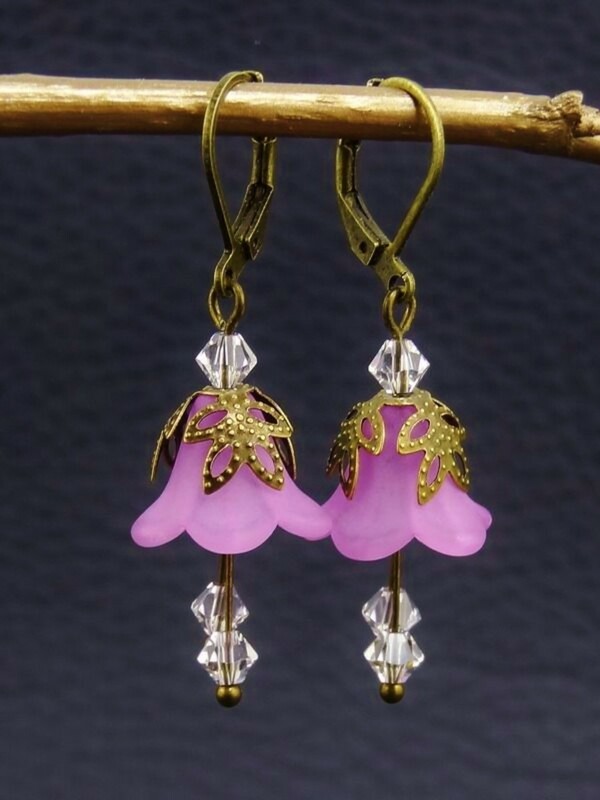 Although not on sale yet in the US they will be shortly appearing at the Story Company's online shop. I am not sure when they will launch them but if you are interested make sure you bookmark their page. These bags are actually made in a similar way to the photo frames. 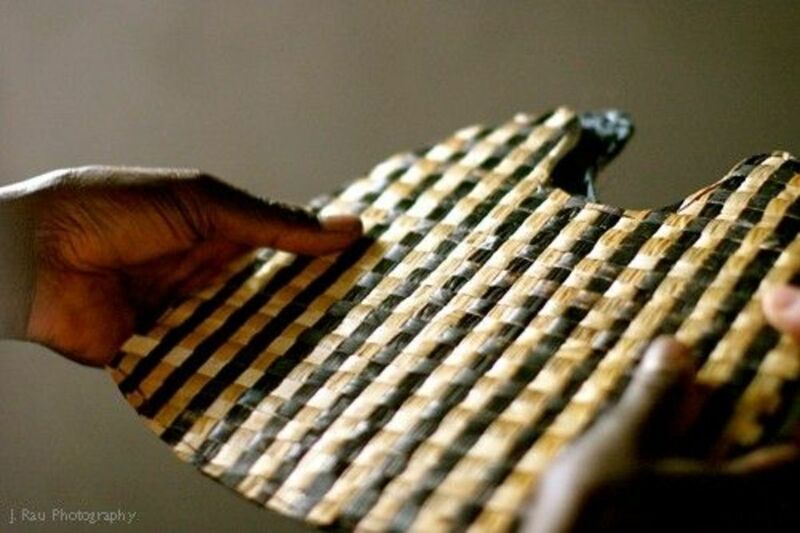 First the artisans will weave a big sheet of banana leaf and then cut out the panels of the purse. Once the panels are cut out they attach the fabric lining and then use more banana leaf to weave up the sides and over for the handles. Surprisingly the handles are actually very difficult to get write and we have only found a handful of artisans that can. 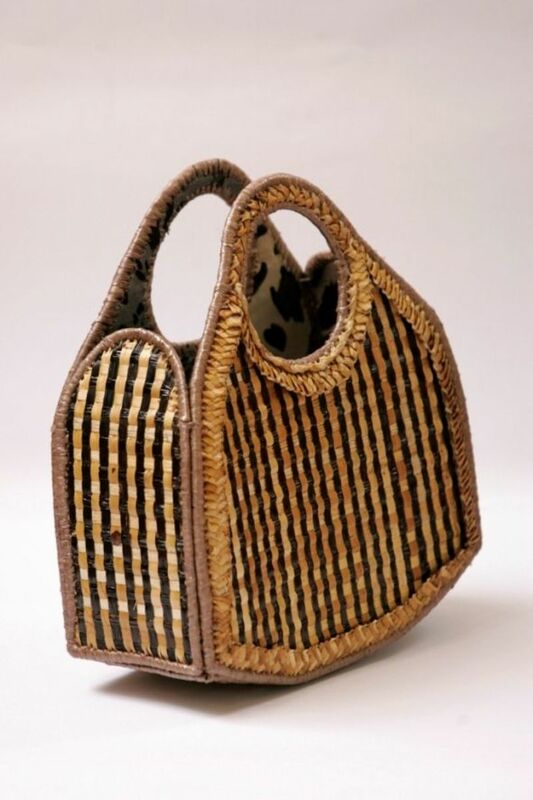 The problem is that the handle is not cut out from a panel but is woven directly onto the almost finished purse. The slightest error at the beginning of the handle is magnified by the end ruining the look of the whole bag. You used to be able to buy these bags from our friends at Gitarama Purses, however, sadly I do not think they are selling them any more. If you are interested in getting your hands on these beautiful banana leaf handbags, please do just leave a comment below and we will try to add them to the Azizi Life range. 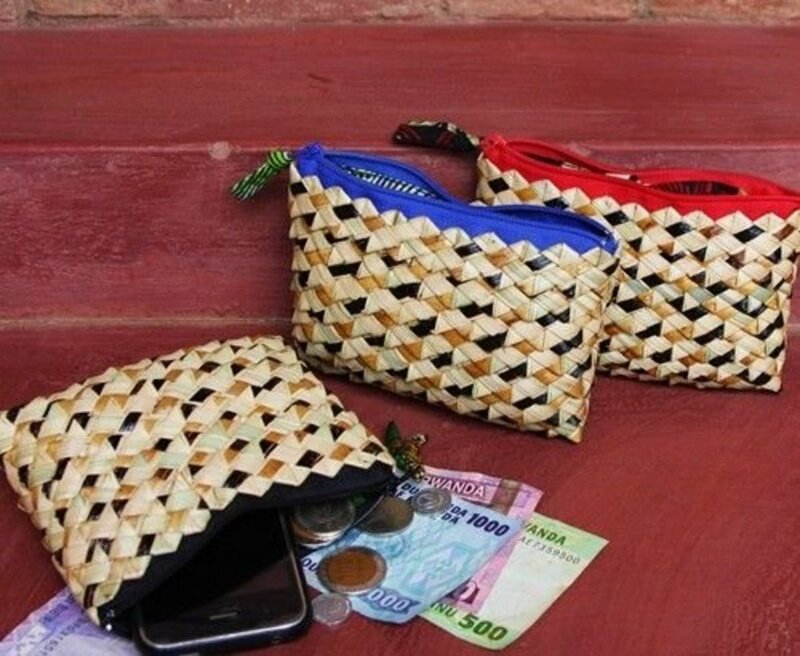 Okay so these coin purses are actually made from a mixture of palm leaf and banana leaf woven together and are not pure banana. However, by mixing these different materials (palm & banana) you can get this amazing texture and color which makes for a wonderful product. The African fabric inside and the different color zip make for a coin purse that is practical, fun and a talking point. And because of this I could not resist including them in my top ten banana leaf products. i want to start this business in my country Nepal. please give me guidance. hilarious things. How can i start this business. please give me guidance. Great lens. Thanks for your commenting and liking my lens on how to create and publish you eBook. @anonymous: Thanks. 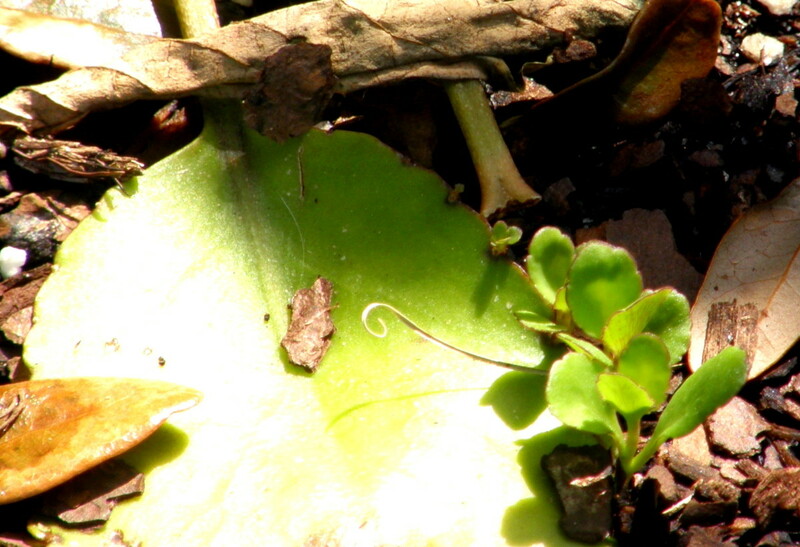 The banana leaf (or bark) is very versatile and you can make some wonderful products from them (including furniture). But different banana trees will be better for different products. So start of by working out what products will sell well in your area and then research the right tree to get the right banana leaf or bark. Wow, ain't it awesome handiwork! I am in Kenya &amp; was thinking of a similar initiative for some youth &amp; women groups in my home constituency, any tips or manual on harvesting &amp; handling of the banana leaf(bark) twines?